Extra Frame pack includes TWO 6-3/4″ modern frames! 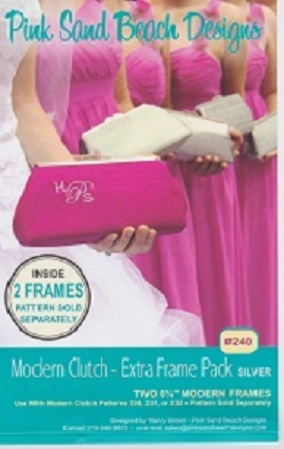 For use with the modern clutch patterns (sold separately). Use this frame pack when making multiples of the modern clutch. The frame is easily glued with using E6000 making a fabulously finished clutch. Makes a quick and fun project!